Conservative Journalist Regrets that Trump Won't Scrap Nuclear Deal! Home Politics Nuclear Conservative Journalist Regrets that Trump Won’t Scrap Nuclear Deal! Conservative Journalist Regrets that Trump Won’t Scrap Nuclear Deal! Hossein Shariatmadari, a veteran Iranian journalist, lamented that the US President has come to his senses and is not going to tear apart the nuclear deal between Iran and world powers. 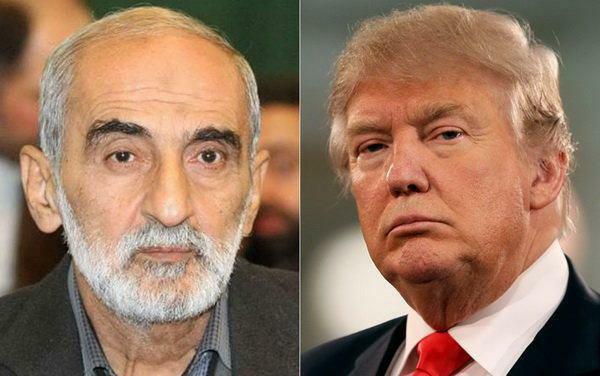 In a Farsi interview with Fars News on Tuesday, Shariatmadari, the editor-in-chief of conservative newspaper Kayhan, said US President Donald Trump didn’t know what concessions the nuclear deal has given to the US and had thus promised during his campaign to rip apart the Joint Comprehensive Plan of Action. However, he added, now Trump has come to his senses and realized his predecessors have tricked Tehran into signing the deal. “Therefore, not only is he no longer going to scrap the deal, but also has voiced his all-out support for it,” he added. Such behaviours are typical of Trump, Shariatmadari said. “Yesterday, Michael Pregent, a senior expert at Hudson Institute and a member of Trump’s campaign team, noted that Trump was not able to distinguish between Iraq’s Sulaimaniya and Iranian General Qassem Soleimani!” he said.